I know I have mentioned the Christmas project Melanie and I did for her mother. In fact, I have more pictures to scan in before it's complete. I need to get on that. 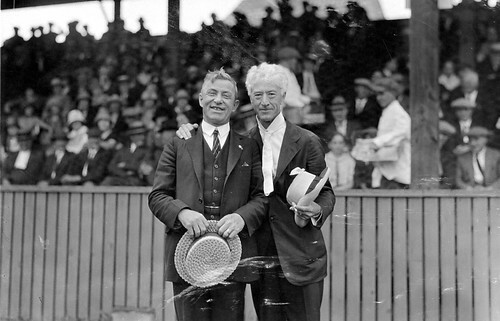 Below is a picture of Judge Kenesaw Mountain Landis and Melanie's great grandfather on her Mother's side. He's the guy that banned Shoeless Joe Jackson for life.